Rogue, Las Vegas’ professional esports organization, in partnership with Find Your Grind (FYG) and backed by ReKTGlobal, today announces the creation of the Find Your Grind Junior Rogue Program. Junior Rogue is a semesterly program that will provide young Fortnite players with mentorship from Rogue Fortnite players and opportunities to succeed in the gaming space. Participants will learn about the gaming industry from real professionals through a structured accelerator program and will be mentored by some of the top personalities in Fortnite, including Benjamin “DrLupo” Lupo. 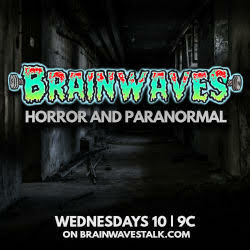 The program begins October 8. Find Your Grind gives individuals a roadmap to discover who they are, where they're going, and the first steps to get there. Unconventional careers and alternative lifestyles are paving the roadmap for the 21st Century, and with the Junior Rogue program, FYG wants to help young people pursue esports in a way that has never been done before. As a part of this goal, earlier this year, FYG partnered with Rogue and ReKTGlobal to create the world’s largest annual esports lifestyle scholarship fund. 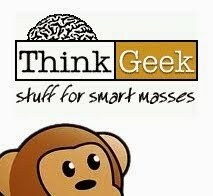 They’ve also used ReKTGlobal’s expertise to grow their esports and video gaming curriculum. Junior Rogue players will receive several unique benefits in addition to the mentorship opportunities. They’ll receive formal recognition by the Rogue organization, streaming and graphical assets for their social media and streaming channels, promotion on social media, access to select Find Your Grind events, and exclusive Junior Rogue merchandise. They will also attend weekly online seminars focused on the variety of careers available in the esports industry. Other activities include game nights for additional practice and workshops for useful skills, such as resume building. In addition to the perks and benefits of the program, each player will receive a $500 scholarship to give them the opportunity to continue their professional development throughout the program. A travel stipend will also be provided for travel to any FYG or Junior Rogue events participants are asked to attend. 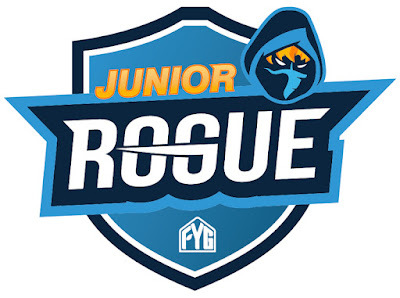 To join Junior Rogue, applicants must be under the age of 18 prior to initial application, must have a waiver signed by a parent/guardian, must submit a complete application prior to the deadline, must be approved by representatives from FYG and Rogue and must reside in the United States of America or a registered U.S. territory. The deadline is Monday, October 1 at 5:00 p.m. PDT. The application can be found online here: https://findyourgrind.com/JuniorRogue. Rogue, known for yielding champions in multiple games — including Overwatch, CS:GO, FIFA, and H1Z1 — was founded in May of 2016 in Las Vegas. The company quickly became a top esports organization in North America, with a global presence in several of the world’s most popular games. Rogue has strategically expanded its roster to include teams in CS:GO, FIFA, Rocket League, H1Z1, Rainbow Six: Siege, and Fortnite.